I worked in Sharjah Sport Channel (Cameraman), I have used the camera in many fileds such as studio,OP and shooting the event for the news. Practical training in _ Media and public relation department. Doing two videos commercial. Writing news. Taking photos for events. Director of short movie (Trauma), participated in the Gulf Film Festival 2013. Director of shot movie (shataat), participated in the Gulf Film Festival 2014. Cinematography of (moments), the film won first place in the Gulf Film Festival 2013 for student’s section. Cinematography of (Haneen) film, directed by Naser Al Yaqoobi, and the film participate in Dubai Film Festival 2013. Cinematography of (valley), the film participated in the Gulf Film Festival 2013. Cinematography of (Trauma), the film participated in the Gulf Film Festival 2013. Cinematography of advertising about Asian Volleyball Championships shows in Dubai Sport Channel. Cinematography of (grave), the film participated in the Gulf Film Festival 2012. Cinematography of advertising about Cinema Parking in Awafi Festival 2013. Cinematography of video for RAK Women’s College for National Day 42. Cinematography of short documentary video for Ras Al Khaimah Customs. Cinematography of advertising about Pearl Festival in Ras Al Kaimah_ March 2012. 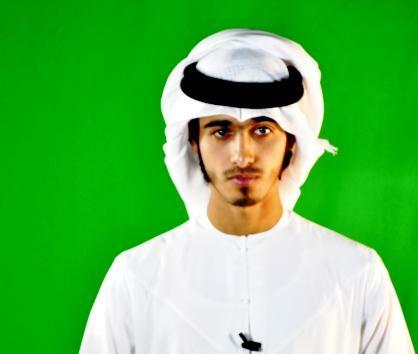 Camera assistant in long Emirati film (Dolphins) film, Directed by Waleed Al Shehhi. Camera assistant in (smaller than the sky) film, Directed by Abdulla Hassan Ahmed. Camera assistant in (Concealment) film, Directed by Mona Al Ali, the film participate in Dubai Film Festival 2013. Camera assistant in (Nafaf) film, Directed by Hamad Al Hammadi, the film participate in Dubai Film Festival. Camera assistant in 2 advertising for Sharjah Environment shows in Sharjah channel. Camera assistant in video clip for Office of Ras Al Khaimah.